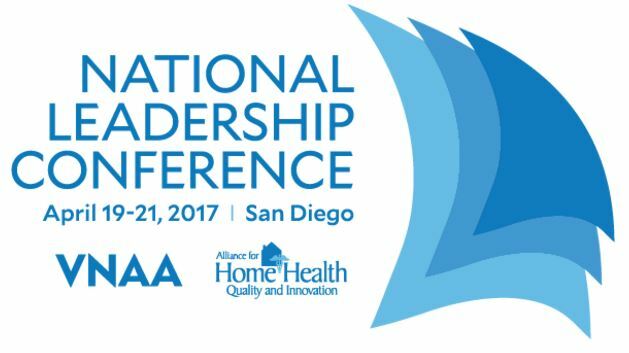 Join home health and hospice experts from across the county at the next Home-Based Care Event, the 2017 National Leadership Conference, in San Diego on April 19 - 21, 2017. Attendees will gain insights from the industry's top thought leaders and here success stories from industry experts. The National Leadership Conference is sponsored by the Alliance for Home Health Quality and Innovation and VNAA. This event is for senior and emerging leaders from home-based care providers from across the country. The Alliance and VNAA welcomes you and your peers for three days of excellence and innovation with leading experts, strategic thinkers and executives in the home-based care industry. Home-Based Care Events is a joint partnership between Visiting Nurse Associations of America (VNAA) and The Alliance for Home Health Quality and Innovation (The Alliance) to promote innovation and excellence in home-based care. Together these organizations conduct conferences and forums, and lead the industry through advocacy and impacting policy. VNAA and The Alliance annually present the National Leadership Conference, Public Policy Leadership Conference, and the Financial Leadership Forum in order to further the success of home-based care providers and patients. To learn more about the 2017 National Leadership Conference event, click here.